It is not by the number of attendees will the pro administration or so called pro Duterte Filipinos will be discouraged and destroy their support to President Rodrigo Duterte. 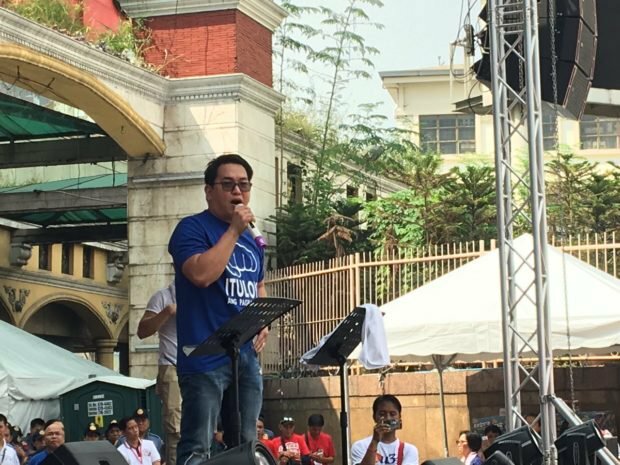 The said group’s attendance fell short of what they have expected yet shouted they “Ituloy ang Pagbabago!” in the event, the focus of the said “Pro Duterte” program centered on encouraging people to help the president finish his term as president of the Republic and also help to subdue any intentions of preventing “Change” to happen in the Philippines. 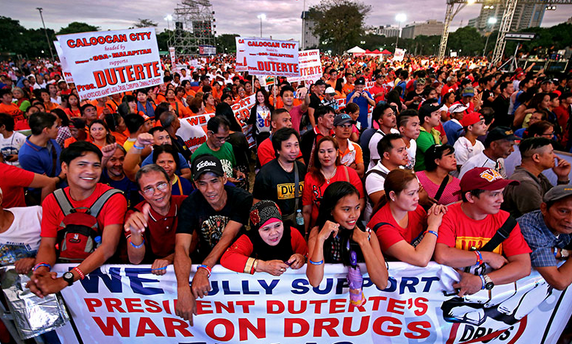 The group that assembled at Plaza Miranda identified themselves as part of the “majority” who has been and still are satisfied with the policies of the government of Duterte that includes the Association of License Recruitment Agency, Liga Independencia Pilipinas I am Du30 Humanitarian Group, OFW Global People’s Movement and Du30 Riders Volunteers. Government workers and barangay volunteers also attended the said program carrying messages of support from their City and Provincial Councils. Alfonso Cusi, Energy Secretary became part of the said support for the president where he mentioned that the group was “happy” with the result of the efforts of those who came. That made the different speakers of the program to give emphasis to fight those who are against the administration and mentioned that such gathering was a “chance for the majority to speak up and say their piece.” and with other speakers mentioned an emphasis that the Filipinos should give president a chance to make things right and acknowledge “Mistakes” made are already being addressed by the president said the Board member of Subic Bay Metropolitan Authority, Benny Antiporda wrapping up the program.